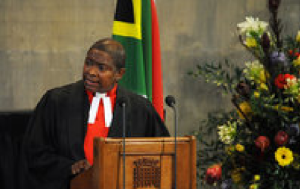 Jamaica Cultural Alliance » From Projects to Parliment, Britain’s ‘Rev Rose’ Breaks Barriers. Parliament in London is an old­ fashioned place. When members gather in the House of Commons, the sea of faces is generally wrinkled, white and male. The chaplain who leads them each day in prayer is emphatically not. The Rev. Rose Hudson­Wilkin is the first black woman to serve as chaplain to the speaker in the House of Commons. She broke the same barrier when she was appointed chaplain to Queen Elizabeth II. She was also the first woman, and the first person of color, to run her parish in Northeast London. Wilkin, 53, said in an interview. “Because that was the life of everyone around you. When a dice has been thrown and that is your life, you learn to live with your life. You grow from it.” Now she tries to impart that message to her parishioners. Hudson­Wilkin first arrived in the United Kingdom for training as a lay evangelist. She returned to live in 1985, and has been a chaplain to the queen for 15 years. In 2010, she was appointed chaplain to the House of Commons. Almost no one else in the Church of England straddles these different worlds in such a high­profile way. In each sphere, she tries to pull people out of their bubbles and help them see the larger world. She gives the queen and members of Parliament a glimpse of those who struggle to get by.